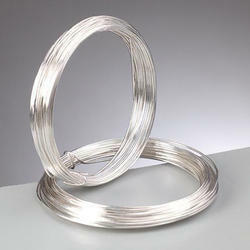 Manufacturer of a wide range of products which include silver brazing wire. Brazing alloy is also used for Silver Brazing Wire. Its low zinc content makes it suitable for furnace brazing. Brazing alloy has good resistance in a marine environment and caustic media. When used on stainless steel, it will inhibit interface corrosion. Because its nickel content improves wet ability on tungsten carbide tools tips, the largest use is to braze carbide tool assemblies. Brazing alloy is used for service temperature. Its low zinc content makes it suitable for furnace brazing. It has good resistance in a marine environment and caustic media. When used on stainless steel, it will inhibit interface corrosion. Because its nickel content improves wettability on tungsten carbide tools tips, the largest use is to braze carbide tool assemblies. Looking for Techbraze Brazing Wire ?